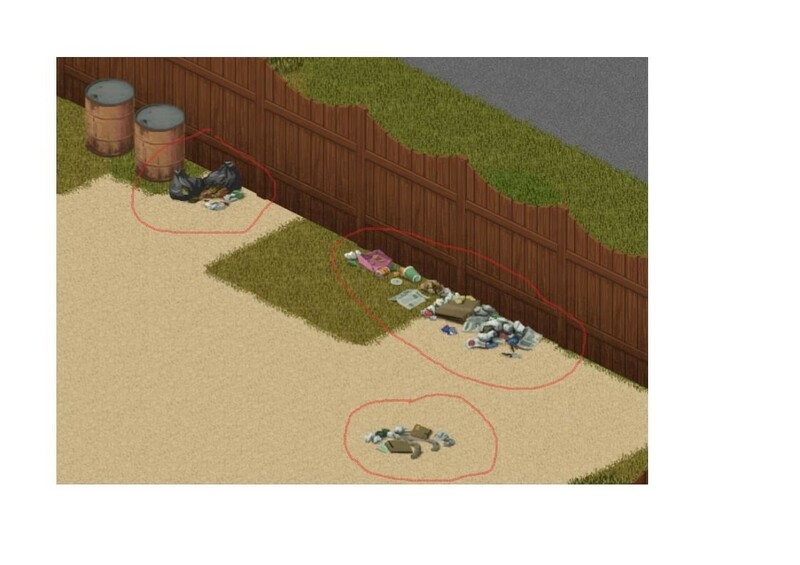 Is it possible to remove garbage textures? You can remove them with the "pick up" tool on the top right of the screen. Then loed dead corpses and burn/burry it all. Incredible! Exactly what is needed! thank you very much! Is it possible to remove the wooden floor placed on the water? You can normaly pick up any existing wooden floor or ceramic tile with a crowbar, carpet with a knife and dirt, gravel or sand with a shovel and bags. If you have built this wooden floor yourself, you can only destroy it with a sledgehammer. I've been picking these up with the furniture tool and placing them in trashcans and dumpsters. If I need to pick up a lot of them I place them on dead zombies and burn them. I like the area I've claimed to be clean.